Whether you want to add African violets to your garden, or simply want to bring fresh blooms home as a flower arrangement, you’ll need to know how to properly care for these plants. 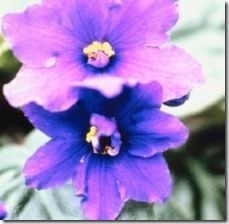 Learning facts about the African violet will also help you to grow the blooms correctly and healthily. African violets are native to the eastern region of the continent, and were discovered by Baron Walter von St. Paul in 1892, according to the African Violet Society of Canada. 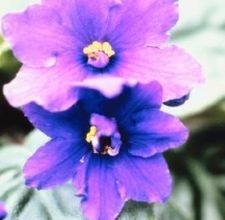 In 1926, the flowers were introduced to North America by Europeans, and there are several different types of African violets in this part of the world now due to hybridization. In order for African violets to thrive, they should be in an environment with at least 40 percent humidity. The flowers shouldn’t be planted in direct sun, and prefer partial shade or fluorescent lighting in an indoor growing space. Watering the plant with room-temperature water is best, and it’s a good idea to fertilize African violets a little each time they are watered. Keeping the African violet in the best shape and healthiest soil conditions helps to prevent diseases. In order to keep mildew and mold from ruining the plant’s leaves, dusting the leaves with flower of sulphur makes an effective treatment. You can also keep your African violets looking their best with regular grooming like removing dried foliage and blossoms as often as needed, and rotating the plant at one-quarter intervals on a regular basis so that it will grow evenly.